Capitola, a seaside community on the north shore of Monterey Bay, claims to be California’s oldest beach resort. The town, founded in 1874, faces New Brighton State Beach. The city is located on a scenic stretch of SR 1 that extends from San Francisco south to San Luis Obispo. By the beach, downtown is laid out for strolling, where cutesy shops and touristy restaurants inhabit seaside houses. Drop by local operators to rent water-sports gear or, if you book ahead, take surfing and SUP lessons. 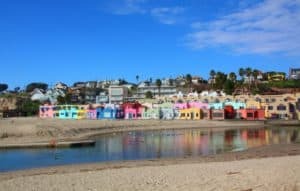 The best time to visit Capitola is from September through November when the summer tourists have returned home, leaving a bit more room on the beaches, walking paths and other attractions. December, January and February see a slight dip in temperatures, which nonetheless are warm enough for the monarch butterflies who overwinter at Natural Bridges State Beach. The months between April and May are characterized by mounting temperatures and special events. Capitola City Beach is a sandy beach at the north end of Monterey Bay in Capitola, CA. It’s a popular urban beach that can be jam packed on sunny days and during beach events. This south-facing beach has a large fishing pier, Capitola Wharf, that sticks out into Soquel Cove where the water is usually calm due to protection from land west of here. The point beyond the east end of the beach gets waves and is a popular surfing area. New Brighton State Beach is a wide sandy beach at the north end of Monterey Bay. 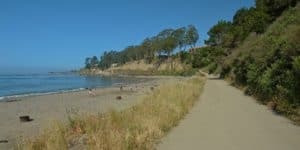 This state park has a large hillside campground in a wooded area surrounded by homes in Capitola and Aptos. Inside the park are trails to explore and they are open to hiking with dogs on leash. Because there are lifeguards and protection from the west in Soquel Cove, this beach is safer for small kids and for swimmers most of the time. North of the beach are steep cliffs and a rocky narrow shoreline, but south of here you can walk for miles to Seacliff State Beach and far beyond. Seacliff State Beach is a long sandy beach on the waterfront of Aptos, CA. This is a great place for sunbathing or walking the sandy shores of Monterey Bay in either direction. 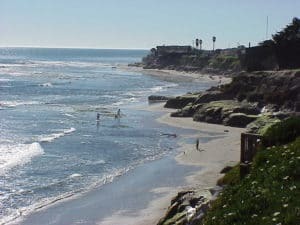 Seacliff State Beach has it all with a popular swimming beach, shaded picnic areas, an oceanfront campground for RVs, and a huge fishing pier to explore. At the end of the pier there is an old rotting concrete ship called the USS Palo Alto that is worth walking to the end to see. Pleasure Point Park is a small park on the bluff above a popular surfing spot in the Live Oak area of Santa Cruz. Climb down the stairs from the park to the beach below, what little there is of it, and don’t expect much beach-wise. Except at low tide, this spot below the bluff will be all wet, but there is a rock shelf to sit on. The surfers don’t mind the lack of sandy beach and will be going out from this spot to a nice break just offshore. Those not surfing can just rest here and watch the surfers from the rocks or from benches and picnic tables in Pleasure Point Park. West Cliff Drive is a scenic, 3 mile walking and biking path along the Pacific Ocean in Santa Cruz. Watch surfers, observe wildlife or just admire the incredible ocean views. Start your walk at the Santa Cruz Municipal Wharf and head past the iconic Santa Cruz Dream Inn to watch some of the best surfers in the world catch a wave at world-renown Steamer Lane. Stop in for a little surfing history at the Santa Cruz Surfing Museum or watch for whales and dolphins at Lighthouse Point. Experience an exciting sailing adventure aboard the luxurious 65′ Team O’Neill catamaran on the Monterey Bay! Sailing activities include afternoon cruises, sunset sails, local wine and beer tastings, seasonal firework cruises, live music sails and wildlife tours, each offering an exceptionally smooth and thrilling experience. For more information call +1 831-818-3645, or visit them on the web at O’Neill Yacht Charters. 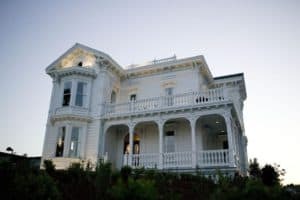 The Stagnaro family has been serving the Santa Cruz area for over a century, ever since Italian patriarch Cottardo Stagnaro settled in Santa Cruz in 1879. This historical landmark business is still leading the way in ocean fun on the Monterey Bay National Marine Sanctuary. There is something for everyone: Whale Watching, Scenic Bay Cruises, Fishing Trips and Private Parties for any occasion. For more information call +1 831-427-0230, or visit them on the web at Stagnaro Sport Fishing Charters & Whale Watching. Their shop is located in the heart of Capitola, they are Capitola’s only SUP shop! They provide SUP lessons, SUP rentals with their quiver of stable and performance SUP boards. They have wetsuits, plus surfboard rentals! All lessons are provided by their expert instructors trained in life and water safety!. For more information call +1 831-435-6503, or visit them on the web at Capitola Surf & Paddle. Welcome to Surf School Santa Cruz, the best-rated surf school on the West Coast. They accept students of all ages and skill levels and guarantee a quality, safe, and fun learning experience. This surf school was created because of their passion for surfing and developed because of their desire to share it with the world. They believe that surfing is not just a sport, but is actually therapy for life. For more information call +1 831-428-3647, or visit them on the web at Surf School Santa Cruz. Providing a premiere 6 pac sport fishing adventure aboard the Taylor-Gene, a 34′ Hatteras sportfisher. They are located in Santa Cruz within the Monterey Bay of California. They target King Salmon, Halibut, Lingcod, Rockfish, White Seabass, Albacore and Bluefin Tuna. All bait, tackle and gear is provided, they are fully licensed and US Coast Guard approved. For more information call +1 831-336-2244, or visit them on the web at Chartle Charters. Fresh and Authentic… Whether you eat-in or take-out, they take great pride in making sure you get delicious food made from quality ingredients. Serving all your favorite traditional dishes for breakfast and lunch at excellent prices is what they do. For more information call +1 831-515-7559, or visit them on the web at Avenue Café. The Wharf House provides ocean lovers with a feast for both body and soul. The restaurant offers a sweeping view of Monterey Bay, while the menu reflects its constantly changing seasonal harvest. The specials board is usually chock full of seafood. Dinner guests can watch dramatic sunsets, then wait for the moon, stars and comets to do their stuff. For more information call +1 831-476-3534, or visit them on the web at Wharf House Restaurant. 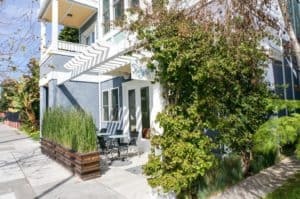 Located beside lush Soquel Creek in Capitola-by-the-Sea, the world-fam ous Shadowbrook Restaurant is best reached by its own quaint cable car or a meandering garden path. Since 1947 Shadowbrook has continued to provide fine wines and liqueurs, excellent food and world-class service in an atmosphere of Old-World charm and grace. For more information call +1 831-475-1511, or visit them on the web at Shadowbrook Restaurant. Paradise Beach Grille’s menu features a wide variety of attractive salads and appetizers, fresh local and Hawaiian seafood and Black Angus Beef from Braveheart. The Paradise wine list is extensive, featuring California wines, including wines from over 15 local wineries with more than 45 wines by the glass. Our chef designs weekly specials and we offer a bar menu with special Happy Hour pricing. For more information call +1 831-476-4900, or visit them on the web at Paradise Beach Grille. They use imported materials and local organics too. The chef always has specials (because he love’s food). It serves pizzas that are meals, not snacks. The chef makes his own tiramisu, heavenly cappuccinos and Italian classics. Caruso’s Tuscan Cuisine is a family-run restaurant in the heart of Capitola Village. We are proud to have been serving authentic Italian cuisine to Capitola residents and visitors. At Caruso’s Tuscan Cuisine, our menu of traditional Italian cuisine along with several daily specials, are sure to please. For more information call +1 831-465-9040, or visit them on the web at Caruso’s Tuscan Cuisine. No-frills haunt featuring bar grub & daily breakfast, plus live music nights in snug, seaside digs. For more information call +1 831-462-1881, or visit them on the web at The Sand Bar Capitola. 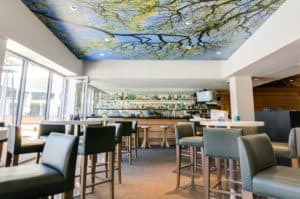 Situated right on the beach at the Santa Cruz Yacht Harbor, the Crow’s Nest has outstanding views of the Monterey Bay. Upstairs has a spectacular open air deck and features live entertainment and dancing nightly. Full Bar. For more information call +1 831-476-4560, or visit them on the web at The Crow’s Nest. A “vintage” bar based upon Wild West themes still supported by The Locals over on the east side of Santa Cruz, Calif. To enter, just push through the heavy wooden saloon doors, Pardner! Everything inside is original old school wood. For more information call +1 831-476-3679, or visit them on Facebook at Over The Hill Gang Saloon. Snug brewery featuring old-world-style ales with a twist & a comfy tasting room with a relaxed vibe. For more information call +1 831-462-1227, or visit them on the web at Sante Adairius Rustic Ales. Great staff. Wonderful wine, not over priced. Jam nights and meatballs on Wednesdays. For more information call +1 831-477-4455, or visit them on the web at Cork & Fork Capitola. The Inn at Depot Hill offers an intimate location for a sumptuous, relaxing getaway. A working train depot well into the 1950’s, the historic Inn at Depot Hill offers guest rooms decorated in the style of famous travel destinations. From the romance of Paris to the serenity of Kyoto, each guest room boasts feather beds, luxury Italian linens and a crackling fireplace. For more information, pricing, or to reserve your room visit the Inn at Depot Hill. This fully renovated Victorian inn features a breezy, coastal-inspired decor including fabrics in crisp blues and whites, rattan furnishings with a mix of recycled woods and locally found artisan accessories. Many guest rooms feature ocean views and oversized jetted spa tubs. Rates include their celebrated amenities including a delicious breakfast buffet, afternoon wine and hors d’oeuvres, evening turndown service on request, a morning newspaper available in the lobby and their delicious cookies waiting for you upon arrival. For more information, pricing, or to reserve your room visit West Cliff Inn, A Four Sisters Inn. Hotel Paradox strikes the perfect balance between nature and urban design without excessive fuss. A Paradox is meant for discussion and questioning the obvious. This Autograph Collection Hotel will challenge you with bold contradictions. The engaging staff invite you to enjoy an experience where the ambiance is contemporary, inviting and a little bit mysterious. For more information, pricing, or to reserve your room visit Hotel Paradox. Nestled halfway between Santa Cruz’s world famous Beach Boardwalk and the bustling Downtown area, Pacific Blue Inn offers you a quiet secluded courtyard hotel room to get the perfect nights sleep, right within walking distance to restaurants, cinemas, performance theatre, music venues, bookshops, galleries, the beach, surfing as well the world famous Beach Boardwalk amusement park and wharf. For more information, pricing, or to reserve your room visit the Pacific Blue Inn. They want every guest to have a special experience at the Sea & Sand and enjoy their time in Santa Cruz. Their great reviews are a pretty good indication of what you can expect at our ocean-front inn. Guests appreciate the scenic location, friendly staff and complimentary amenities. For more information, pricing, or to reserve your room visit Sea & Sand Inn. These beaches and holiday spots looks so amazing and you have shared all the useful information that a tourist must have. I have become a big fan of your work and visit your website quite often. This is an absolute travel guide. Thank you for your lovely posts. 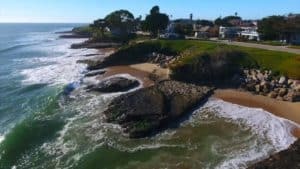 Capitola looks like a really interesting place to visit, with loads of great beaches – sounds like a paradise for beach lovers! I really like the look of the beach bounded by so many different coloured houses – that reminds me of a beautiful island near Venice in Italy! One thing really surprised me – you described one of the hotels you feature as Victorian. I was not aware that people in the US would describe a house as such, but I would agree that it does look Victorian. You show so many lovely places to visit – maybe I will get the chance to visit the US and some of those places one day! Very many thanks for your interesting post. You are very welcome Chrissie, and yes there are plenty of victorian homes here and in the south 🙂 I hope you can make it to the US one day soon. Thanks for the visit to my Capitola CA Travel Guide. Wow! Finally, it was about time I encounter a website about beaches. 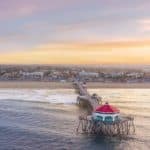 i had never heard of Capitola before reading this article. You explain in a detailed manner about: the best time to go, the attractions, things to do, restaurants, nightlife & hotels. I would definitely surf at Pleasure Point Beach. Anyway, keep dropping that good content. Thanks Jean and I do love beaches! I guess this is my passion, so it is an easy thing for me to do. Thanks for stopping by beach travel destinations. I love the way you list all the wonderful things that one can do at Capitola beach. I especially like the way you sort the pricey restaurants from the not too pricey ones. You listed places to visit at night as well as during the day. 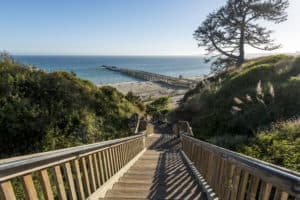 That’s a great guide for someone who’s never been to Capitola beach to have so that you’re not stuck looking for things to do and places to visit. And I appreciate you making a note of the best times to visit so that one’s not surrounded by tourists. It’s just crazy how I’ve lived in a California my whole life and have never heard of this city. We love to go on a little road trips and this will definitely be on our list going forward. Of all of the hotels you have listed there in your opinion which is the best for a family of 4 with 2 little kids 5 and 3 years of age? I’d probably go with the Sea & Sand or the Pacific Blue Inn. They will be your best choice for kids. And I cannot believe you do live there, and have not heard of Capitola. It’s a great beachside community Santa Cruz County 🙂 Thanks for the visit. 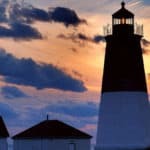 Hello – I am a big fan of vacationing at different beaches, so I am really enjoying this post as well as others on your website. I was recently in California near Monterey, but I have never heard of Capitola before or any of the beaches near there. I like how you provide a lot of suggestions on things to do and where to eat. I’m going to Hawaii next month, so I’m going to take a look at that section of your website next. You are very welcome Michele. If you were in Monterey, then you were very close to Capitola 🙂 I believe you will have a wonderful time in Hawaii for sure. Thanks for the visit! 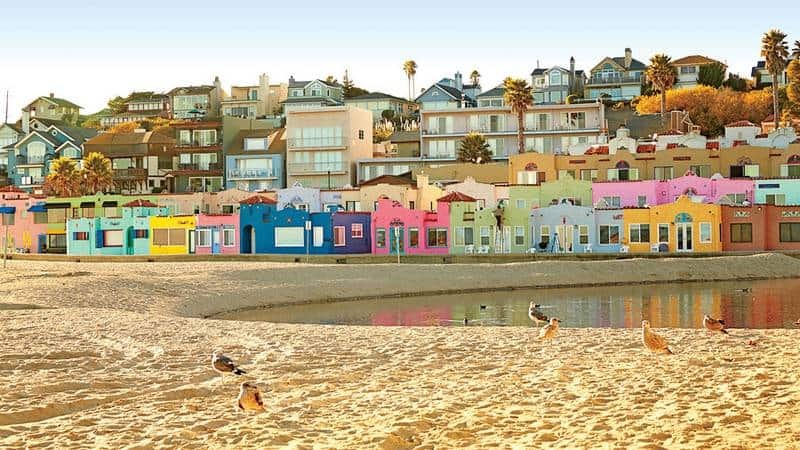 What a colorful and picturesque location Capitola is! It seems like one could have a good time here even on a lower budget. You have provided all the information needed for a trip plan. I can imagine traveling there just to relax and get some creative ideas going. Off season sounds ideal for that, along with long walks and just gazing at the ocean. You’ve bit me with the travel bug! Again! Good ! Capitola is a wonderful destination and so many things to see are close. The whole Santa Cruz area is just beautiful and loaded with wonderful beaches. Thanks for stopping by beach travel destinations. You are probably walking a beach right now and I won’t fault you for it. Your passion for sand and water is evident in this detailed and all-inclusive post. The ideal one-stop-shop to all the beaches, the surfing and paddling lessons, food and wine of Capitola. Nice of you to include some history and the surfing museum. You do a superb job of covering all the bases and anyone wanting to visit Capitola would be well advised to look-up this site. What do you look for when scouting a new beach? Do you travel alone or are you part of a team effort? I am bookmarking your page. Thanks so much Paul for stopping by. I usually travel alone, however would love a partner to do this with LOL. When I am looking for a new beach, I look at the atmosphere, the cleanliness, the availability of food and drink, what is in the area, and how well the beach is kept up. Those are just a few things. I don’t particularly like over crowded beaches, but sometimes I do like them for the people watching. Wao.. this looks like a really nice place for the family to take a long vacation. 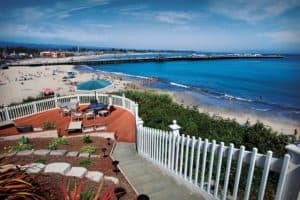 I love travelling and I found Capitola in a good locations to spend a nice vacation.Capitola sure looks amazing and would be suitable for someone looking to relax and have some fun.The place seems very attractive and everyone would wish to visit Capitola. It is a great place Julienne! I am glad you enjoyed reading and learning about Capitola. Thanks for stopping by. I love California (except they’re crazy there lol), and especially a little north towards the San Fran area. I agree that going there after the summer months is a much more pleasant experience when the tourists go home and the kids go back to school. September and October are my favorite months to travel to California because the weather is still summer, but everything has calmed down. Capitola Beach has always looked so quaint and cute to me, and I can’t wait to go there. Reading your article has renewed this desire in me, and I’m going to talk to the kids and see if this would be a place for maybe our next family vacation. Great write-up. Thanks. I think you guys would love it Babsie! And yes, September and October is the best time to travel to California. San Fran can get a little chilly though. Thanks for visiting my Capitola CA Travel Guide. Nice! I love your site Leahrae! At first, it’s stunning to stare at. You also included places to eat and their prices as well :O! It must have taken a lot of traveling. Even hotels!! I commend your dedication. Also, I’m curious about the lifestyle in Capitola. How the natives spend their waking hours and norms. Did you do all of this on your own? Yes I do Ralph 🙂 Thank you for the visit. I don’t live in Capitola so I would have to really research to see what a daily day is like for a resident in Capitola. I merely look from a visitor’s standpoint 🙂 Thank you for your visit to my Capitola CA Travel Guide. Very well put together website, really like how it is easy to navigate and is not over cluttered with ads. 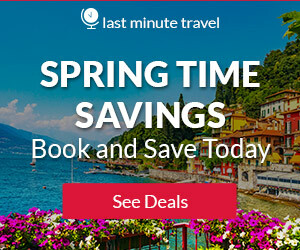 You offer a wide range of beaches through out the world along with anything from air fare and best time to book as well as hotel and package deals, plus package deals. Awesome job, will refer to your site when I go on my honeymoon. 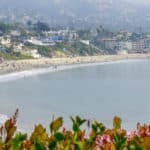 In the beach travel destination , if it was not for the fact that i love watching wild life and listening to good music, i would not be choosing to be in the capitola beach but to be in the west cliff drive. I really love cruising so the capitola beach would really work for me and this is surely a great place to be for pleasure. Yes, I think you would truly enjoy 🙂 Glad you enjoyed my Capitola CA Travel Guide. 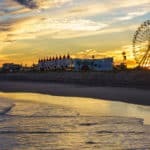 This post is very helpful as it has helped me been able to know most of the beautiful beaches to travel when ever I wanna take a vacation but one thing i want to ask is about the hospitality given to foreigners at theses destination and could someone make a reservation when he’s not in the states? You will find that the people in Capitola and the whole area are going to be friendly, and that does not exclude foreigners. You can make your reservations from your country. If you need any help, please let me know and I would be glad to. Thanks for the visit. Capitola one of the best travel location in the world and after going through this travel guide it just got more attractive for me. This article had everything I needed to know about the attractions in Capitola. I also got to know about when will be the right weather and time to go there. Thank you for posting this article. It is a well written guide with instructions easy to follow and understand. You are very welcome and I hope you can start planning your beach travel vacation to Capitola California soon! Seeing your page makes me want to go on vacation. I’m from Honduras but I don’t see any deals or package on the link of best beaches of C.A. Is there a way to find beaches there on your page? I would really like info to take me family on a trip. I do have a link for the beaches 🙂 You probably just missed it, but you can go here for all the great beaches in the area. Thanks for stopping by Claudia. I must say that this article is very informative and interesting. I have never been to Capitola but I would like to go there in May but I will need to spare some money. I especially like that place is calm without too much traffic and loud. My question is can I take my pets with me? Is it allowed to transfer them there? Pets are most certainly welcome there. You will have to make sure and keep them on leash of course. Thanks for reading Daniel. Wow. I love beaches so much. I’ve been to a few in my country but I’ve always wanted to travel out to other beautiful beaches. What I love most about a beach is the cool air and the sound of water splashing against each other. It’s so serene and beautiful to be on the beach with family. I hope to take out my family this year to a beach. You will have to visit California for sure! The choices in beaches are pretty much endless. Thanks for stopping by!